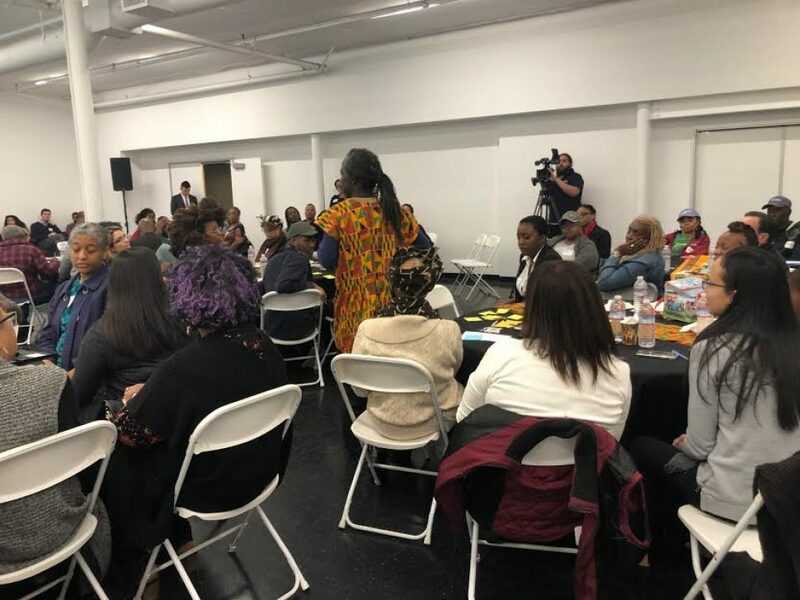 Long Beach Unified School District board member Felton Williams speaks during a roundtable discussion that was part of a kickoff event at the Expo Arts Center Tuesday, Jan. 29 to begin the visioning process for a proposed African American Cultural Center. Photo by Stephanie Rivera. There was more discussion of ideas than time allowed at the Expo Arts Center in Bixby Knolls Tuesday night. 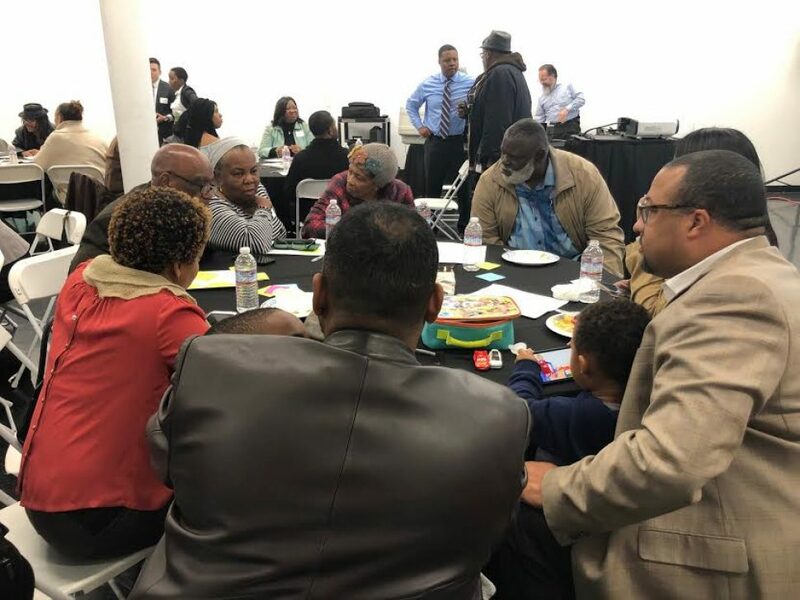 An event kicking off a visioning process for a proposed African American Cultural Center in Long Beach drew nearly 100 people that included community members who for decades have taken personal responsibility to spread knowledge on a diverse culture in a city without a formal institution for it. Lance Roberts, of 100 Black Men of Long Beach, suggested a focus on the African diaspora. Max Viltz, of the African boutique store Village Treasures, called for an educational component, like scholar speakers. Adisa Anderson said the future center needs to be a place where community members can unpack current national issues, like police shootings. “A center that helps the community heal,” Anderson said. Adisa Anderson of Queens Historical Society shares his ideas for a proposed African American Cultural Center in Long Beach. The discussion was part of a kickoff event at the Expo Arts Center Tuesday, Jan. 29 to begin the visioning process for the center. Photo by Stephanie Rivera. Other suggestions included creating a space for LGBTQ, formerly incarcerated and homeless individuals and having a facility near transportation hubs and space for parking. Long Beach is home to over 60,000 African Americans, about 13 percent of the city’s population, yet it has no museum or center like other ethnic groups. There’s the Museum of Latin American Art, the Pacific Island Ethnic Art Museum and the Japanese Culture Center. A Killing Fields Memorial Center, meant to pay respect to the victims of the Cambodian genocide, was announced in 2016. He proposed the idea to the council last February after hearing from community members during a Black History Month event held at the Expo Arts Center. They wanted to see a place open to them 365 days of the year. Last May, the first discussion on the center was held at Rancho Los Cerritos. Signal Hill resident and co-owner of the Forgotten Images exhibit Sharon McLucas speaks during a roundtable discussion that includes Long Beach City College Board of Trustee Uduak-Joe Ntuk. 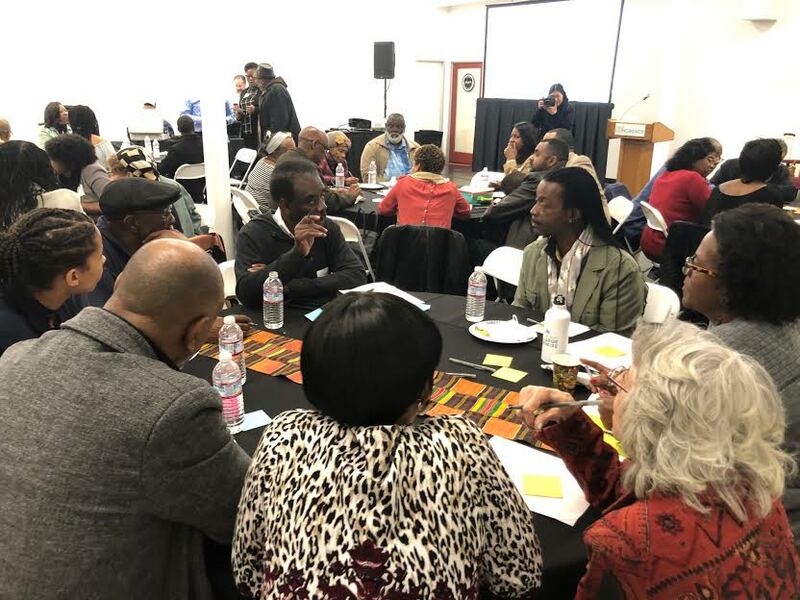 The discussion was part of a kickoff event at the Expo Arts Center Tuesday, Jan. 29 to begin the visioning process for a proposed African American Cultural Center. Photo by Stephanie Rivera. In addition to receiving ideas Tuesday night, city officials also revealed a taskforce that over the next five months will hold community gatherings for input before presenting a final report to the council. That taskforce includes Deputy City Manager Kevin Jackson, Innovation Team Director Tracy Colunga and Management Assistant Alvin Teng. Two consulting groups will also be part of the team. The Canadian-headquartered Lord Cultural Resources, which was behind the National Museum of African American History and Culture at the Smithsonian Institute, will focus on planning. Environ Architecture, Inc., which includes Hunter, will focus on community engagement. The $50,000 in one-time funds from the general fund budget identified by Austin last September is earmarked for the overall process, including $25,0000 for the planning and $25,000 for community engagement. Austin previously noted that the center will most likely need about $1.5 million in seed money. Jackson said over the next couple of months, the taskforce will be wanting to know not just the programs the community wants but the market expectations for the center: will it be for a local, regional or national audience? What will make it unique to Long Beach? And if an organizational capacity exists in the community. Over the next couple of months the taskforce will be holding a series of community roundtable meetings before delivering a final report in June. The proposed meeting dates include Thursday, March 7; Thursday, April 4 and sometime in May. Specific details on the gatherings will be provided at a later date. Stay up to date here.